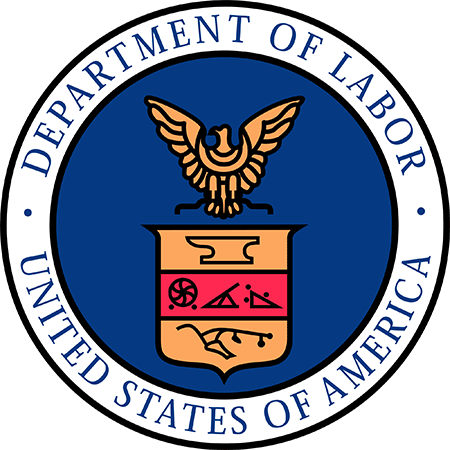 GRAFENWOEHR, Germany — A new web-based application now allows appropriated fund federal employees and their employers to electronically file workers’ compensation forms, as well as upload and track documents to the Department of Labor’s Division of Federal Employees’ Compensation. The Employees’ Compensation Operations and Management Portal, or ECOMP, allows appropriated fund federal employees to file claims online for benefits under the Federal Employees’ Compensation Act. ECOMP is expected to provide easier access to filing claims, and result in improved timeliness of claims establishment, adjudication and payments, according to an Army memorandum dated July 30, 2015. Department of Defense entered into an agreement with Department of Labor to use ECOMP, and the Army migrated to the new portal Nov. 2, 2015. ECOMP was developed by Office of Workers’ Compensation Programs to help improve the speed of communications in claims filing. For more information and training, visit www.ecomp.dol.gov. Training is listed under the “Help” menu on the left side of the ECOMP home page. I am an employee. How do I file a workers’ compensation claim? You may file your claim, using either a form CA-1, Federal Employee’s Notice of Traumatic Injury and Claim for Continuation of Pay/Compensation, or form CA-2, Notice of Occupational Disease and Claim for Compensation, from any computer. A traumatic injury is one that can be pinpointed to have occurred during one particular work shift — falling down the steps, for example. An occupational disease is a medical condition that has developed due to work activities performed over more than one work shift. Both the CA-1 and the CA-2 are available for electronic submission at www.ecomp.dol.gov. Prior to filing a claim, if you have not already done so, read the information under “How to File a Claim” and review the ECOMP User Guide by clicking on the link for “Filing Forms as an Injured Worker” under the Help menu on the ECOMP page. You may then click on “File a Claim” or “Sign In/Register” to establish an account and file the claim. What will I need to file a workers’ compensation claim? An ECOMP account (you can register for an ECOMP account using your email address). Your organization (recommend you print your most recent SF-50, Notification of Personnel Action, from the Civilian Personnel Online Portal or from your electronic Official Personnel Folder (eOPF). You will use this information to select the organization that you work for as the first step when you click on “File a Claim” (see FAQ 3 below). Your supervisor’s email address. It is important that this be accurate to ensure that your claim is routed properly and can be processed by your supervisor. For new injury/illness claims, details for the event (place, time, extent of injury, etc.). If available, supporting documentation, such as medical reports (have these ready in electronic format). How do I know which organization to select from the drop down lists in ECOMP? The organization information in ECOMP is a combination of the command and organization you are assigned to, and your servicing Civilian Personnel Advisory Center (CPAC). Print your most recent SF-50, Notification of Personnel Action, from the Civilian Personnel Online Portal or from eOPF. Locate Block 22 on that form, which reflects the organization you are assigned to. Take the following steps in ECOMP. Select Department of the Army in the drop down list for “Department”. Select the organization in “Agency-Group” that matches the command in Block 22 of your SF-50 (normally the top line in that block). The “Agency” will auto-populate based on the “Agency-Group” selection. Look for the organization listed in Block 22 under the command, in the drop down list for “Duty Station”. If you are unable to locate your organization or need assistance, speak with your supervisor or the servicing CPAC Injury Compensation Specialist. What happens if my supervisor is on leave or TDY, or otherwise unable to review my claim in a timely manner? Your servicing CPAC Injury Compensation Specialist will receive notification that you have filed a claim, and will be able to send a reminder to your supervisor, re-route the claim to another supervisor in your chain of command, or process the claim to DOL. What happens if I am unable to complete the claim on line because I have no access to the Internet or am incapacitated? Your servicing CPAC Injury Compensation Specialist will be able to complete the form on your behalf, in the same way that he/she can do so in Electronic Data Interchange today. I am a supervisor. What are my responsibilities? When an appropriated fund employee is injured or made ill as a result of work, you should ensure the employee receives emergency medical treatment or first aid care as appropriate, notify the local safety office, and complete any required safety reporting. You should advise the employee to log into ECOMP at www.ecomp.dol.gov to register for an account and complete the claim form and ensure that he/she has your correct email address. If the employee’s injury results from a specific event or series of events during one day or shift, the employee should complete a Form CA-1, Federal Employee’s Notice of Traumatic Injury and Claim for Continuation of Pay/Compensation. If the employee develops a condition due to prolonged exposure lasting more than one day or shift, he or she will complete a Form CA-2, Federal Employee’s Notice of Occupational Disease and Claim for Compensation using EDI. Once the employee completes the claim form and submits it in ECOMP, you will receive an email notification with a link that will take you to the claim form, and allow you to review and submit the claim. The claim will be routed to the Injury Compensation Specialist at your servicing Civilian Personnel Advisory Center for final review and submission to Department of Labor. As the supervisor, you have certain other responsibilities associated with the processing of a workers’ compensation claim. Please refer to the Army Workers’ Compensation Implementing Guidance and the Frequently Asked Questions about the Federal Employees’ Compensation Act (FECA) for Supervisors at http://cpol.army.mil/library/benefits/acwci.